The First Multi-Angle Light Scattering Detector for UHPLC. The microDAWN™ can be coupled to any UHPLC-SEC system to determine absolute molecular weights and sizes of polymers, peptides, or proteins directly, without resorting to column calibration or reference standards. The microDAWN produces minimal band broadening in order to maintain the narrow peaks typical of UHPLC, while meeting or exceeding the sensitivity of the miniDAWN. The microDAWN MALS detector performs absolute characterization of macromolecules eluting from UHPLC, determining molar mass and size independently of retention time and molecular reference standards. This instrument offers superb sensitivity over a wide range of molar mass, size and concentrations. 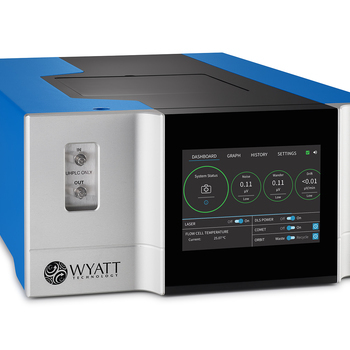 In most respects the microDAWN is similar to the well-established miniDAWN , a workhorse MALS instrument used in hundreds of labs around the world for characterizing proteins and other molecules smaller than 50 nm in radius. Distinctly from the miniDAWN, the microDAWN is uniquely suitable for use in conjunction with UHPLC Size Exclusion Chromatography (SEC-MALS) thanks to its small interdetector dispersion. In some cases it may be used with ion-exchange or other types of chromatography. Regardless of the specifics, the microDAWN produces minimal band broadening in order to maintain the narrow peaks typical of UHPLC. Sensitivity: 1.0 µg/mL BSA (66.4 kDa) in PBS; 50 ng/mL 100 kDa polystyrene in THF. The microDAWN and its companion microOptilab Refractive Index Detector interface to most standard UHPLC systems. 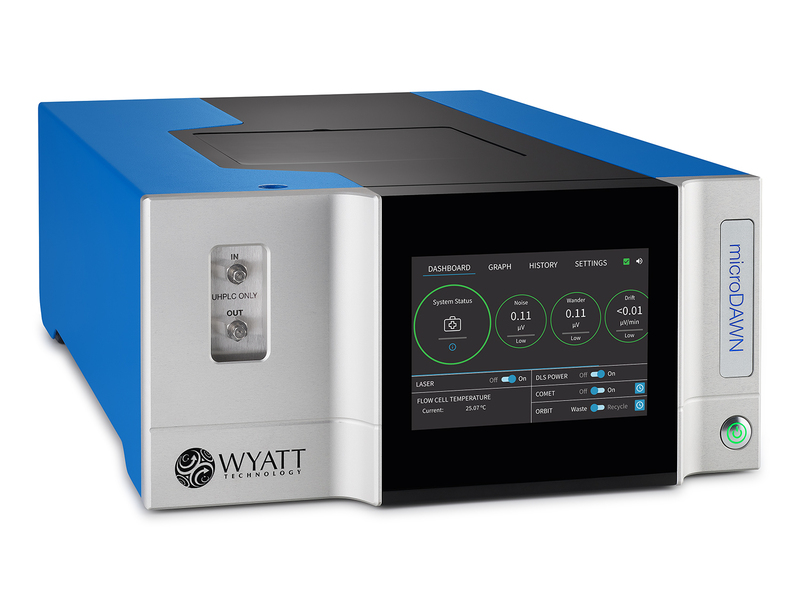 As these detectors are based on the advanced technology of Wyatt's miniDAWN and Optilab, respectively, users may be confident in the underlying capabilities cited in thousands of peer-reviewed publications. Each microDAWN includes a COMET ultrasonic transducer that cleans MALS flow cells automatically by agitating the fluid and loosening particles from the glass surfaces.